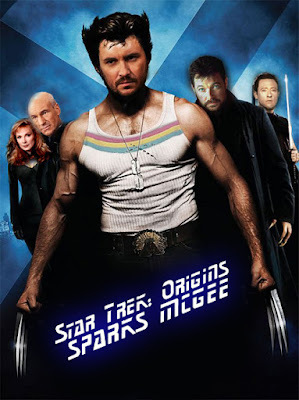 If you follow Wil Wheaton or follow Star Trek: TNG you will probably at some point have heard about the Legend of Sparks McGee (if not click here for an explanation). Briefly to explain, Sparks McGee is Wil Wheaton's vision of how Wesley Crusher should have been. Ever since he spoke of this, the Internet (as he calls his fans and followers) has made several comics, drawings, etc. depicting the adventures of Sparks McGee. 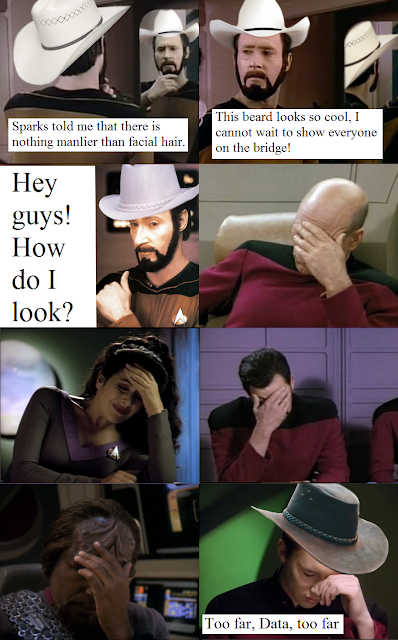 I find it quite funny and thought I'd share a few I have found via Tumblr. P.S. If you don't follow Wil Wheaton you should. At least on Twitter or Facebook, but he also has a blog, and a Tumblr. He's quite amusing. He has so many looks! !